Sony Music UK becomes the first media company to sign up to The Smallest Things “Employers with Heart” Charter, giving paid extended leave to both mothers and fathers of babies born too soon, as well as providing psychological support on return to work. 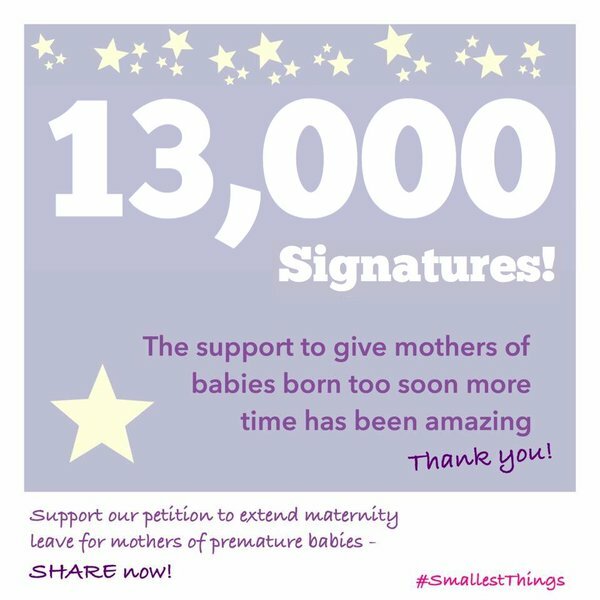 So far, more than 200,000 people have signed a change.org petitioncalling upon government to extend leave for parents of premature babies. After meeting with The Smallest Things last year, business minister Margot James MP took up the issue announcing in the Governments Mothers Day Pledge that “mothers of premature babies should receive full backing from employers” and bringing forward new ACAS guidelines went on to say “I am confident businesses will welcome these new guidelines and act on our advice, but I will of course keep progress under review, and do not rule out legislating in the future if our advice is not heeded”. The commitment made today by Sony Music UK will make a real difference in the lives of families who experience the trauma of premature birth and will give tiny babies the time they need to grow, develop and to bond with their parents after weeks and often months in hospital. This entry was posted in maternity leave, News on July 17, 2018 by Catriona Ogilvy. 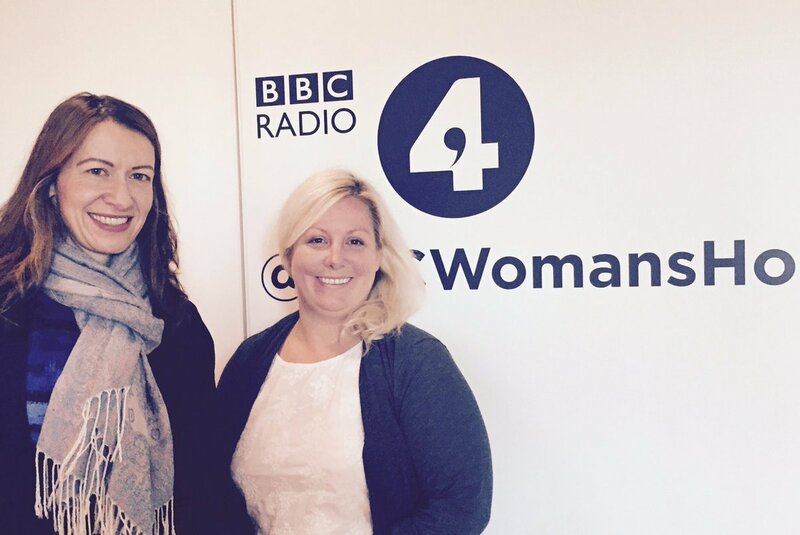 Smallest Things Founder Catriona Ogilvy spoke to Talya Stone as part of her ‘What it’s really like’ series. Can you share a little with us about you and your family? I’m a children’s occupational therapist and have worked in the NHS for fifteen years. I live with my husband and our two young boys in south London. 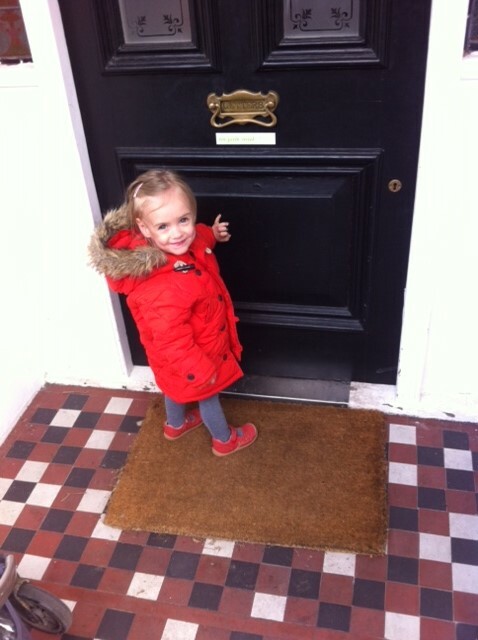 Samuel, who is four, started school in September and loves it! Jack his younger brother goes to nursery two days a week and is a very happy cheeky two year old! Can you share a little bit about how and when your baby came into this world? 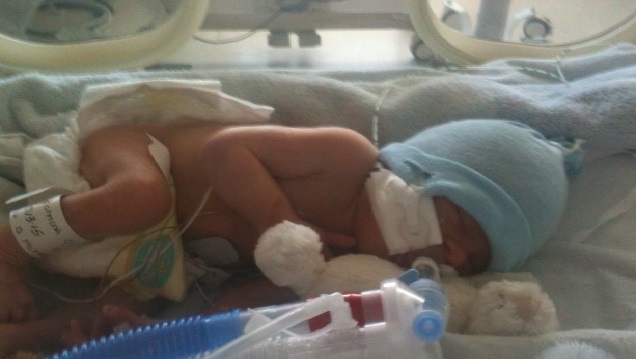 Samuel was born 10 weeks early at 29+6 weeks. 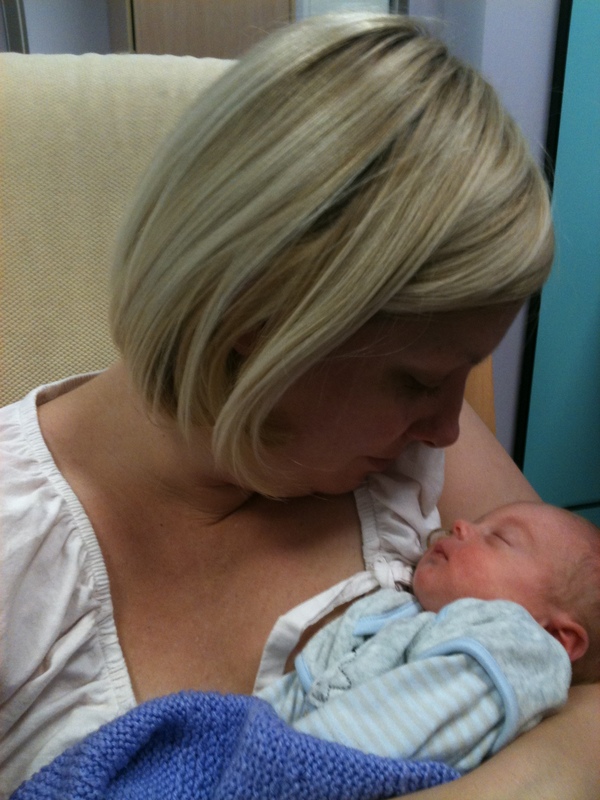 I’d had no complications during my pregnancy and no indication at all that he may come early. It was a Friday morning when my waters broke as I got out of bed; I couldn’t really believe what was happening! I calmly called a taxi, threw a few things into my hand bag (10 weeks early I hadn’t even thought about packing a hospital bag) and made my way to the hospital. Despite the midwives hoping my labour may not progress, Samuel was born a few hours later. The room flooded with doctors and nurses as he came into the world and it was six long minutes before he would take his first breath. I remember the midwife showing me a tiny little face wrapped in a towel. I reached out to touch him, but my hand was gently moved away and in the flash of a second he was whisked away to neonatal intensive care. 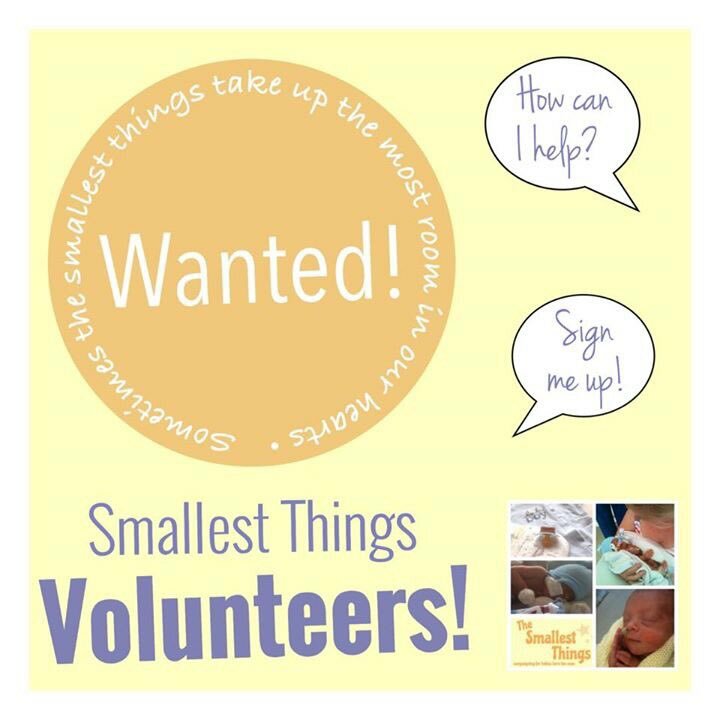 Having previously spent time working in a large neonatal unit, did you ever really think that your own baby could be born too soon? And did that do anything to prepare you for the challenges you faced? Samuel was taken to the neonatal unit where I had worked a few years before. When my GP had asked me where I’d like to have my baby my only thought was of Kings College Hospital. Having worked there I knew how good their neonatal unit was and I remember thinking that if anything went wrong that is the place I would want to be. I don’t think I ever really thought that my baby could be born early, (I wasn’t planning on starting maternity leave unit 38 weeks), and I’m not sure it prepared me for the challenges we would face. 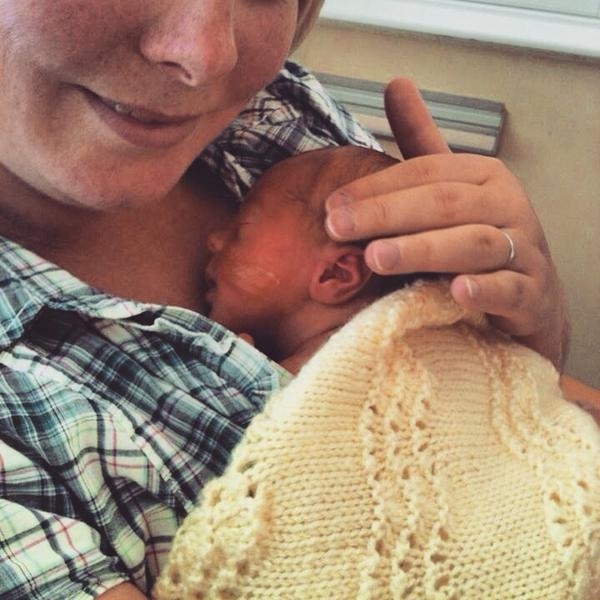 In a strange way it made being mum to a tiny fragile baby more difficult as I could hit ‘medical mode’ and detach myself more from the emotions of a traumatic birth. I also think more was expected of me as I should be used to handling babies through incubator port holes with numerous lines and tubes covering them, but being my own baby I was terrified. As an occupational therapist, part of my role was to help parents to be parents; to hold and to care for their babies. 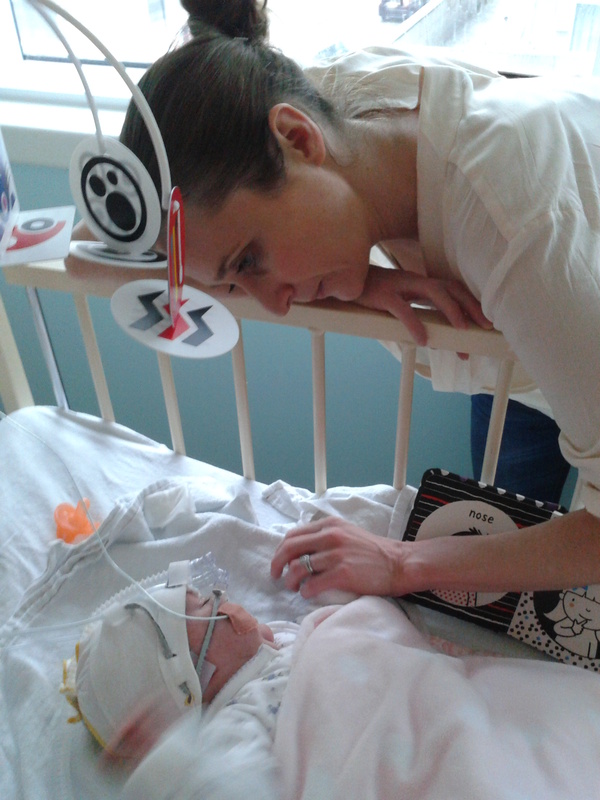 I thought I knew what being in neonatal care was like, but I soon discovered that I had had no idea. I’d never truly appreciated the trauma that parents go through, the emotional roller-coaster and the host of conflicting feelings. Did your baby suffer any of the complications associated with being born too so (please elaborate and if yes, how that translates to your child at this present time)? 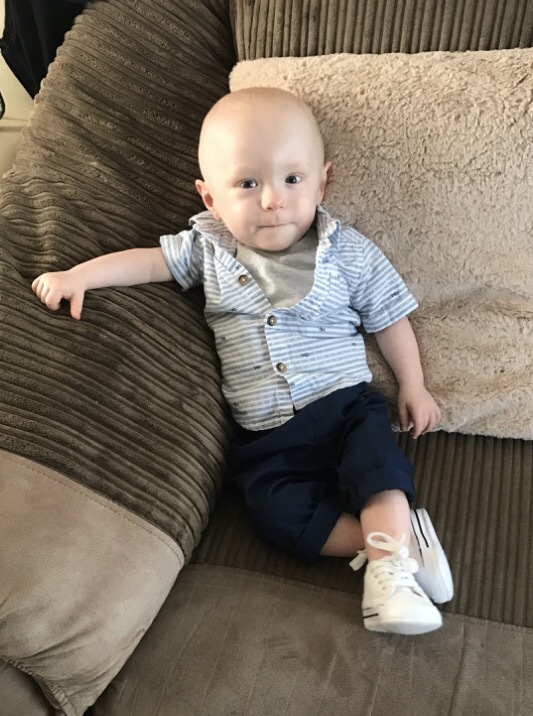 Like many babies born early, Samuel has had ongoing respiratory difficulties with simple coughs and colds in danger of landing us in hospital. As he gets older his lungs continue to develop and get stronger, but it is always a worry for us. He has always met or been ahead of his developmental milestones according to his corrected age (the age according to his due date rather than birth date) and is doing so well at school. At just turned four though he is one of the youngest in his class and as a direct result of his prematurity has gone to school a year too soon. Born in early August, but not due until mid October, he literally was born into the wrong academic year! Becoming a parent is a life-changing event as it is, but does having a baby who was born too soon take things to an entirely different level? Nothing can really prepare you for becoming a parent, but what I always say is that for parents of premature babies all the planning and anticipation is dramatically and very suddenly interrupted. You have ideas about holding your baby for the first time; of about bringing them home to meet the family. You have their room decorated, your hospital bag packed, an empty crib ready and waiting and their first outfit chosen. I had nothing ready. No hospital bag, no car seat, no baby grows or crib. I waited six days to be able to hold my baby and changed my first nappy holding tiny legs resembling sticks through holes in an incubator. It does take things to an entirely different level, but I am also mindful that everyone’s birthing experience is different and everyone has their own journey when starting out as a new parent. Being born too soon still seems a little talked about subject – given the number of babies who are born too soon in the UK, why do you think that is? The neonatal intensive care unit isn’t the sort of place you’d stumble across and I think people can be afraid of the unknown. 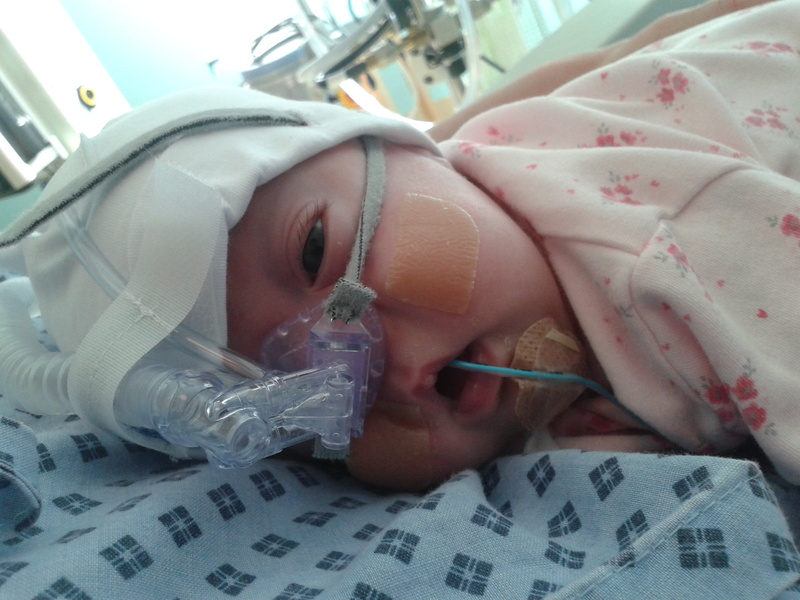 Seeing the smallest of babies hooked up to tubes and wires, some at the very edge of life, is not for the feint hearted and TV documentaries like ‘Miracle Babies’ last year really helps to shine a light on the subject. 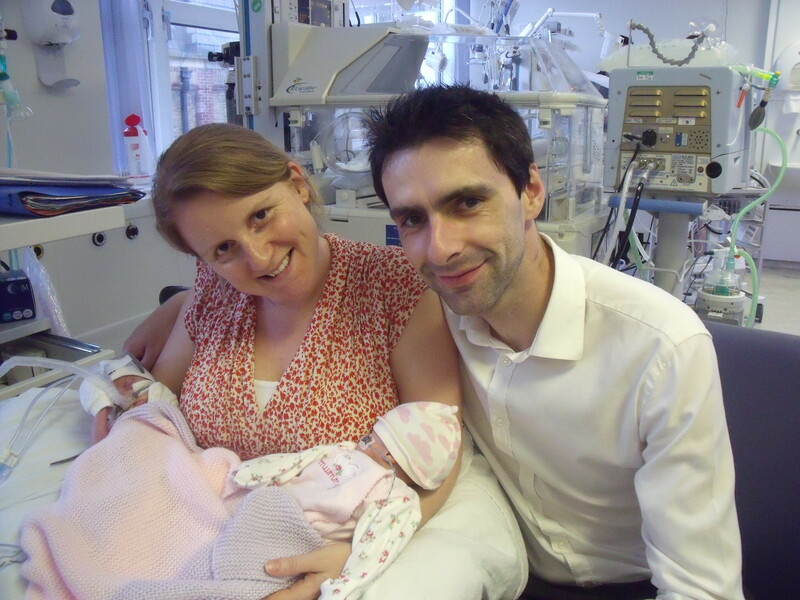 As a parent of a premature baby it can be difficult to explain or re-live your journey through neonatal care and where there is a lack of understanding it can feel safer to stay silent. I think this is why mothers can describe their journey as being quite isolating and why I initially set up my Smallest Things blog. What are people’s reactions towards having a baby born too soon, and what is the most frustrating thing you have encountered? I found that people thought my baby was just a smaller version of a term baby. Perhaps well meaning comments such as ‘Labour must have been easy for you’ or ‘at least you got to miss that really big stage’ were in fact quite hurtful. 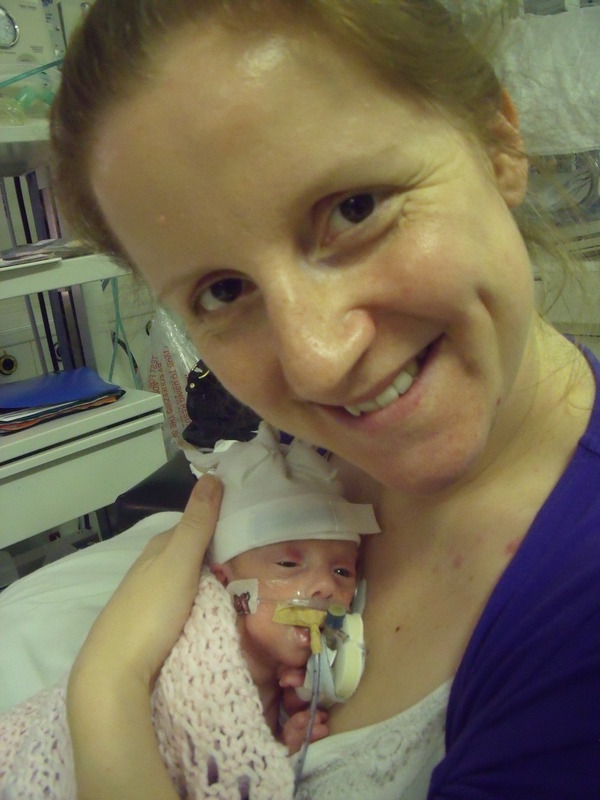 I don’t think people really realised how scary giving birth 10 weeks early can be, what difficulties premature babies can face or what it is like to go home every day without your baby. 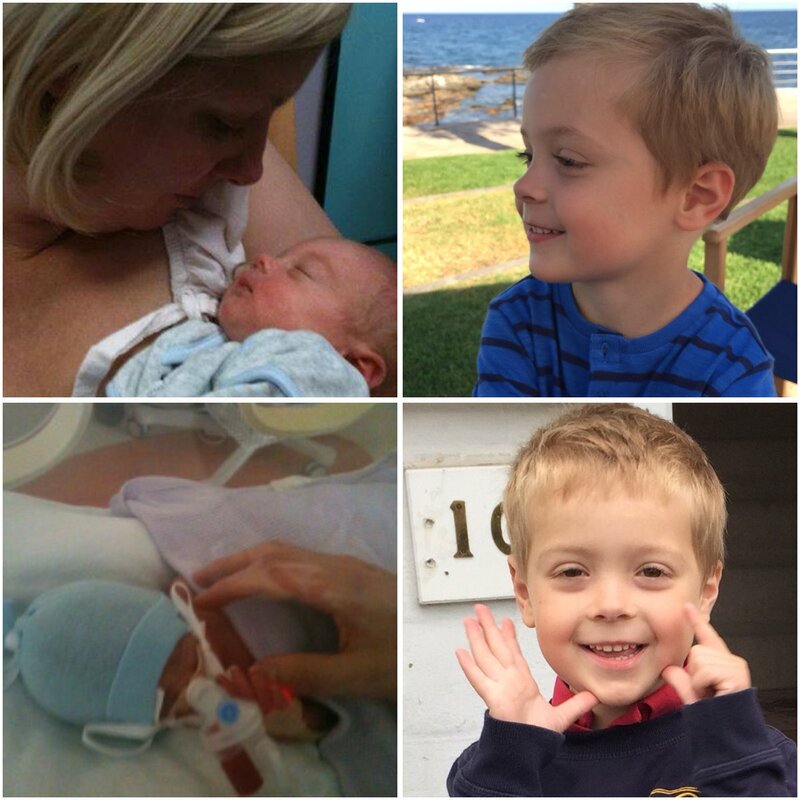 There must be so many challenges to overcome a parents of a premature baby, but for you, which was the single greatest one? It may sound strange, but there is a great sense of loss and grief when your baby is born prematurely. 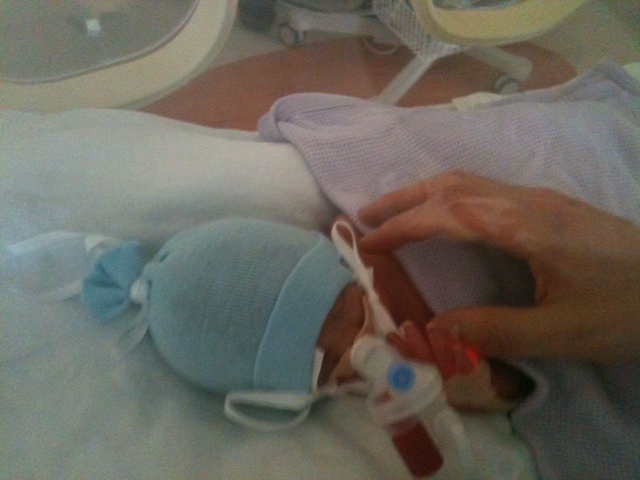 I was discharged from hospital the day my son was born and had to go home that evening without him. I was empty and I was without a baby to hold. Although my baby was alive I grieved for the baby I was missing. This also caused a great deal of guilt; feelings that I must be selfish to feel this way when others really are grieving for their lost babies. You feel a sense of loss – loss of that first precious hold after birth, loss of your final months/weeks of pregnancy, time to plan, buy, decorate and prepare. Loss of the celebration of a new birth as you welcome your new baby into the world with caution and anxiety. For a long time I ached for the baby I wasn’t able to hold and that is one of the greatest challenges I have had to overcome. 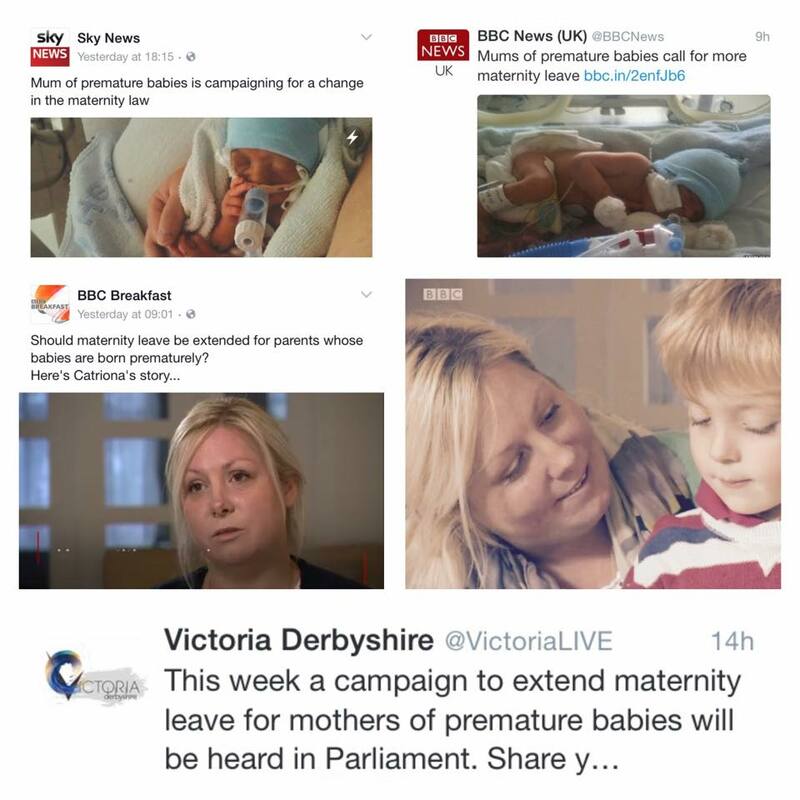 You’re currently campaigning to extend parental leave for mothers of babies born too soon – can you tell us a little about that? I had no idea when my baby was born prematurely that my maternity leave would begin the very next day; days before I would first be able to hold him and months before I would be able to bring him home. I had planned to take 9 months maternity leave, so by the time I bought my son home I had already used nearly a quarter of my leave visiting him daily in hospital. And rather than returning to work when my son was 9 months old, developmentally at his corrected age he was only 6 months old, not able to sit independently and not yet weaned. It was too soon for him and too soon for me. I needed more time to recover from the trauma of time in NICU and more time to bond with my baby, and he needed more time to grow and develop. 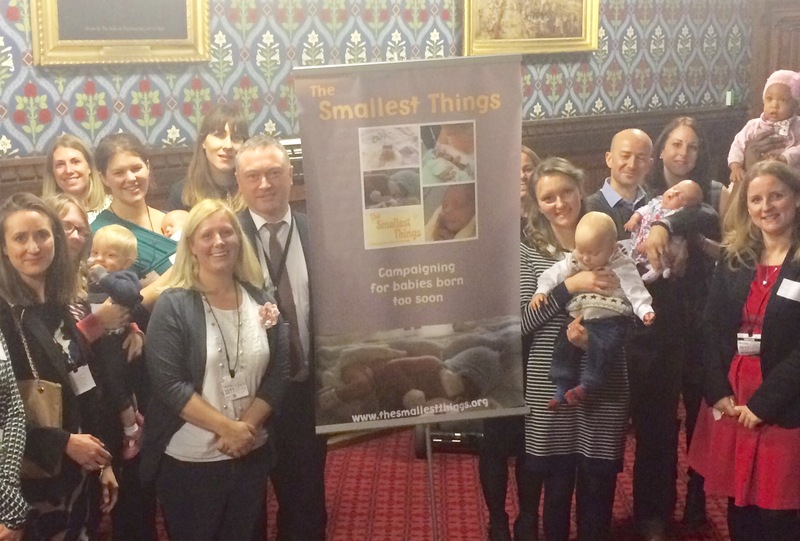 So, I started a petition calling on government to extend statutory paid parental leave for those with premature babies – the petition now has over 11,000 signatures! My local MP Steve Reed is championing the petition in parliament and it was even discussed by MPs as part of a Westminster Hall debate… so watch this space! 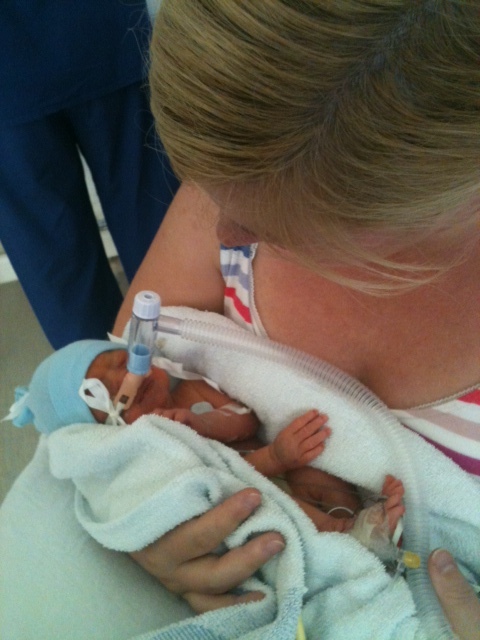 If there is one thing you wish people would understand about having a premature baby it is…. 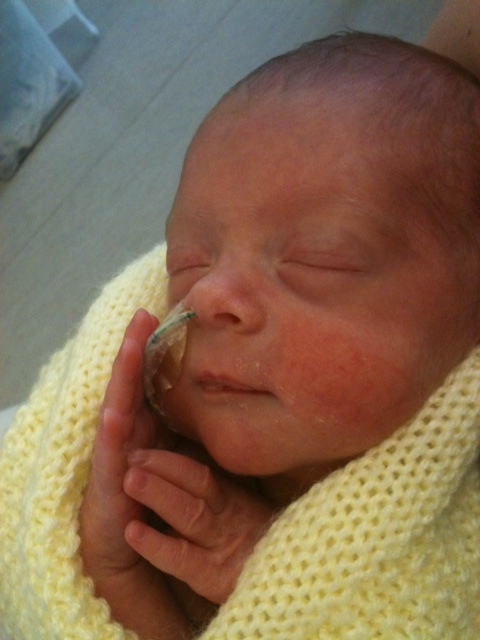 That the journey through neonatal care doesn’t end when you leave the neonatal unit. I remember someone once saying to me ‘well at least it’s all over now’, but your journey and the memories of NICU stay with you. For us we have had subsequent admissions to hospital with respiratory illnesses and regular follow up appointments. There are the anxieties of reaching milestones, worries about lasting affects and of course time needed for you to recover mentally and physically. More than half of mothers are said to experience anxiety and signs of post traumatic stress disorder following a premature birth and more awareness is needed of the lasting effects of neonatal care on families. 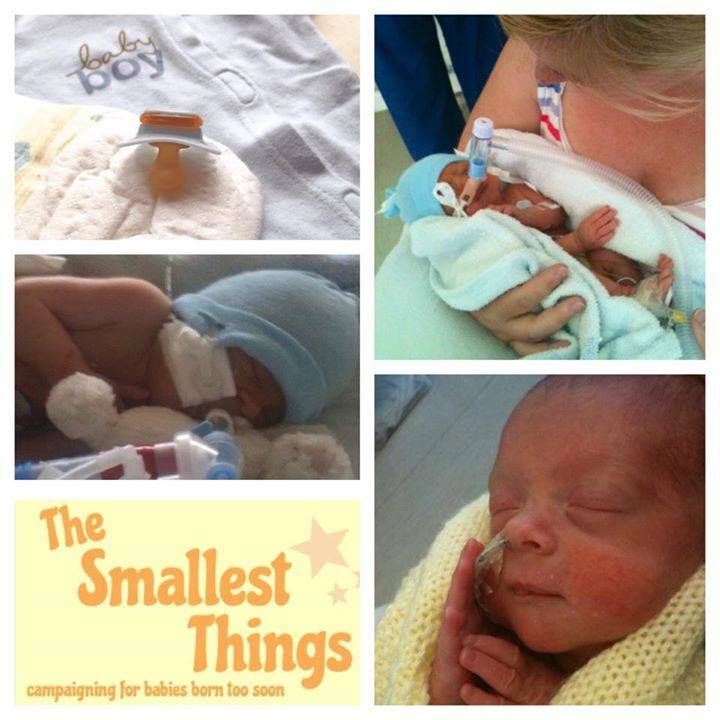 Two things; firstly my thanks to the wonderful NHS staff who have not only supported us through neonatal care but beyond, they are all amazing; and secondly to say to other parents of premature babies that they are not alone and by speaking about our experiences together we can raise awareness. 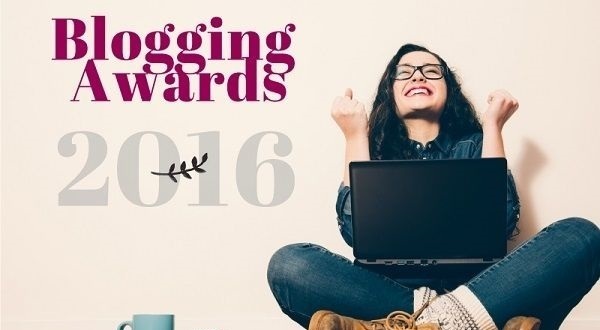 This entry was posted in maternity leave, NICU, Premature Baby, SCBU and tagged Neonatal intensive care unit, Neonates, NICU, Preemie, preemie club, premature babies, Premature Baby, premature birth, SCBU, Special Care Baby Unit on January 26, 2016 by Catriona Ogilvy. Even years later the unfairness can still hurt, often catching me by surprise. What if we’d had more time; more time to establish breastfeeding? What if we’d had more time; more time to protect his little lungs from the bugs and colds of childcare. What if we’d had more time; more time together, more time to bond, more time to feel like a mother. 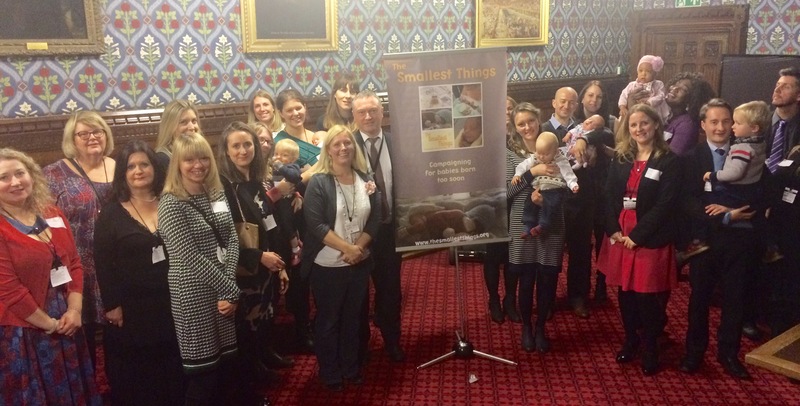 What if our family had had more time; more time to recover from the trauma of neonatal intensive care. What if I’d had more time; more time to realise that I needed more time. 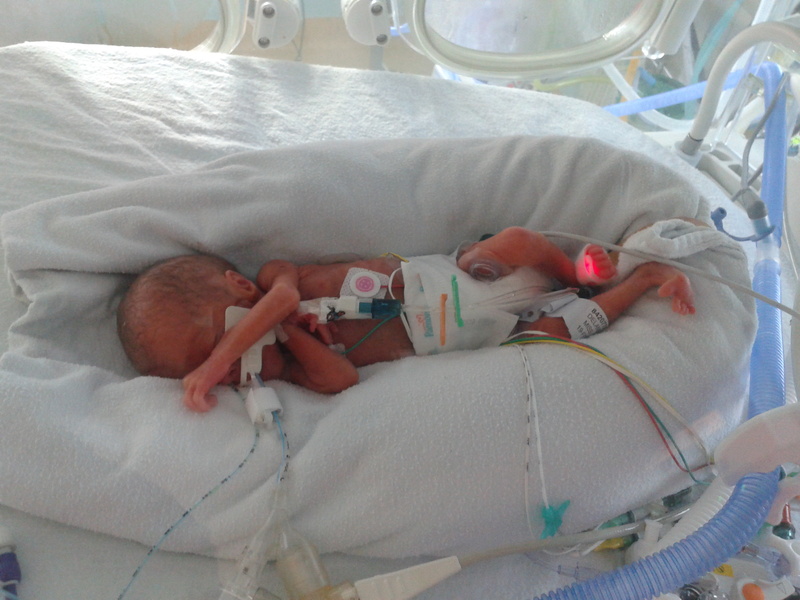 For many parents of premature babies there is little warning of the chaotic and uncertain world they suddenly find themselves in, and overnight statutory maternity leave has begun. Parents to a precious baby, perhaps a ‘miracle’ or ‘fighter’, mothers and fathers grapple with what lies before and ahead of them. Parents, but parents to a baby they can not hold. 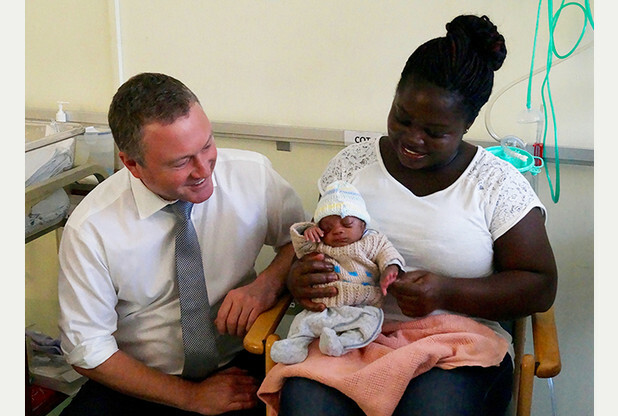 Parents, but parents to a baby who will spend weeks, if not months, in hospital. Parents, but each day parents to a baby to whom they must whisper goodbye. Maternity leave: a time for mothering and nurturing. A time for mother and baby to grow and develop. A time for mothers to support each other through sleepless nights, first smiles, feeding and weaning. A time to be and to become ‘mum’. Neonatal intensive care: watching, waiting, breathing machines and monitors. Expressing rooms, uncertainly, hope and prayers. The torture and heartbreak of leaving such a fragile, tiny baby each day – and yet, this is your maternity leave. 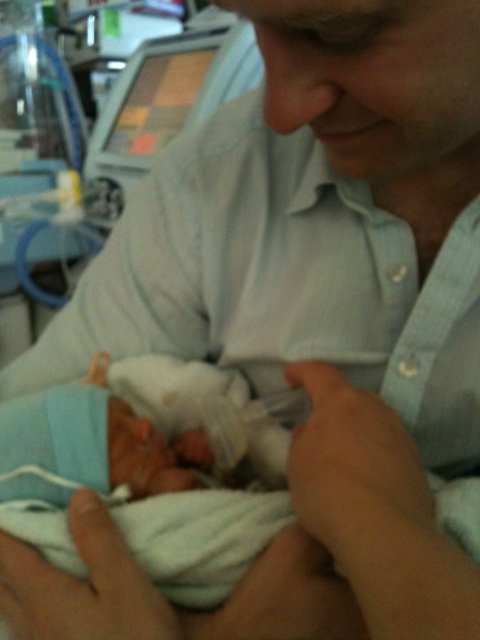 Neonatal intensive care: wires, alarms, tiny and smaller. Fragile, life, loss and grief. The trauma and guilt at leaving such a fragile, tiny baby each day – and yet, this is your maternity leave. Yes, even years later the unfairness can still hurt, often catching me by surprise. 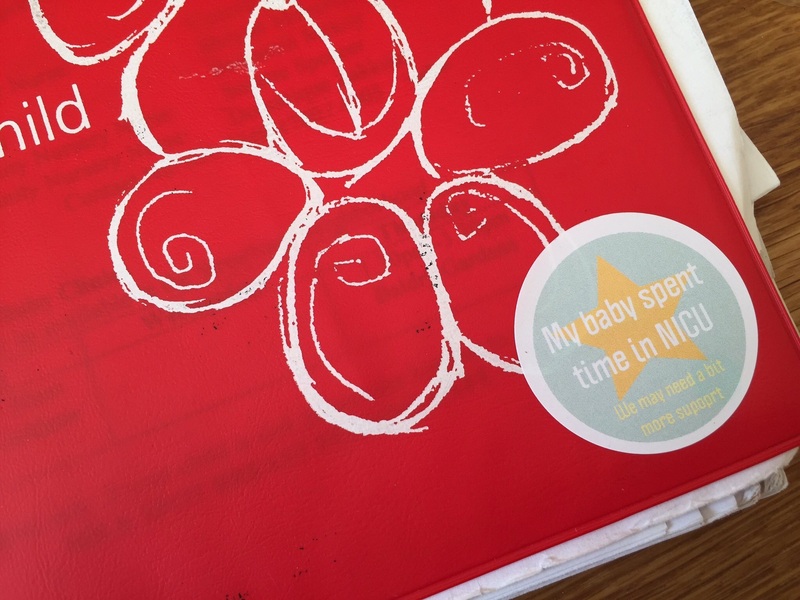 Weeks and months in neonatal intensive care – that was my maternity leave. 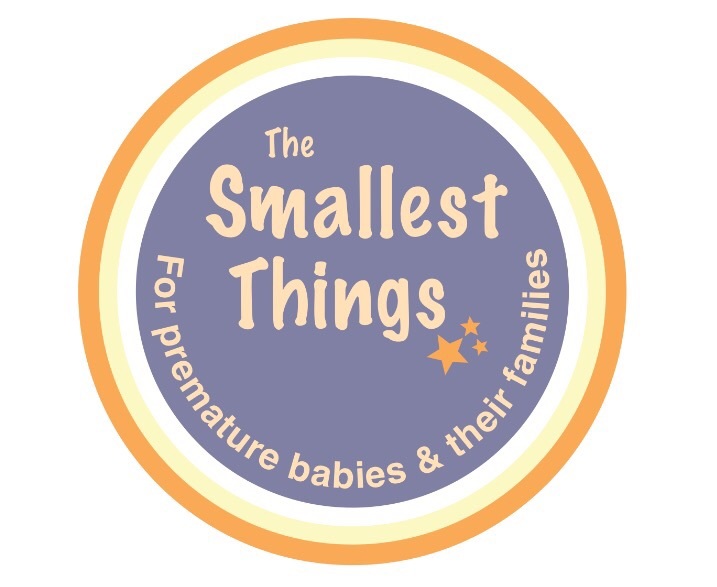 The Smallest Things campaigns for longer maternity for mothers of premature babies. If you agree, please SIGN our PETITION now! 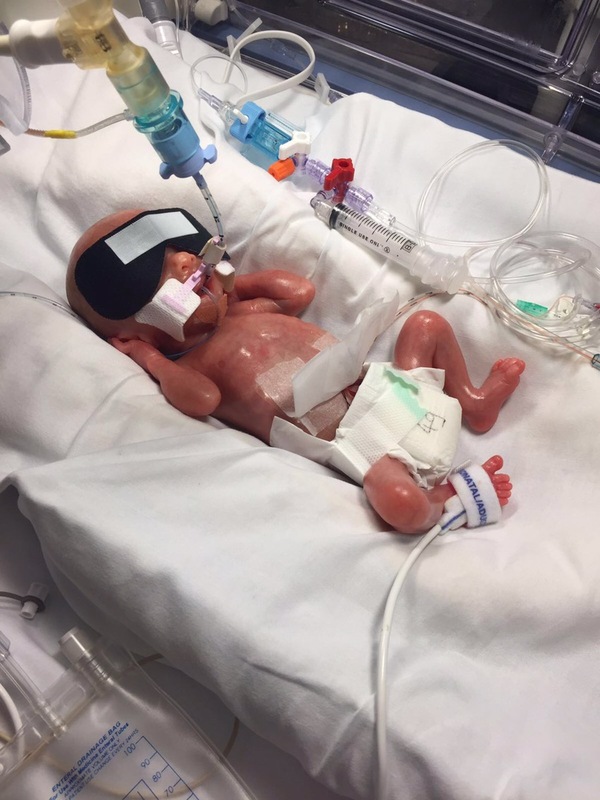 This entry was posted in maternity leave, NICU, Premature Baby, SCBU on August 30, 2015 by Catriona Ogilvy.